Hello! 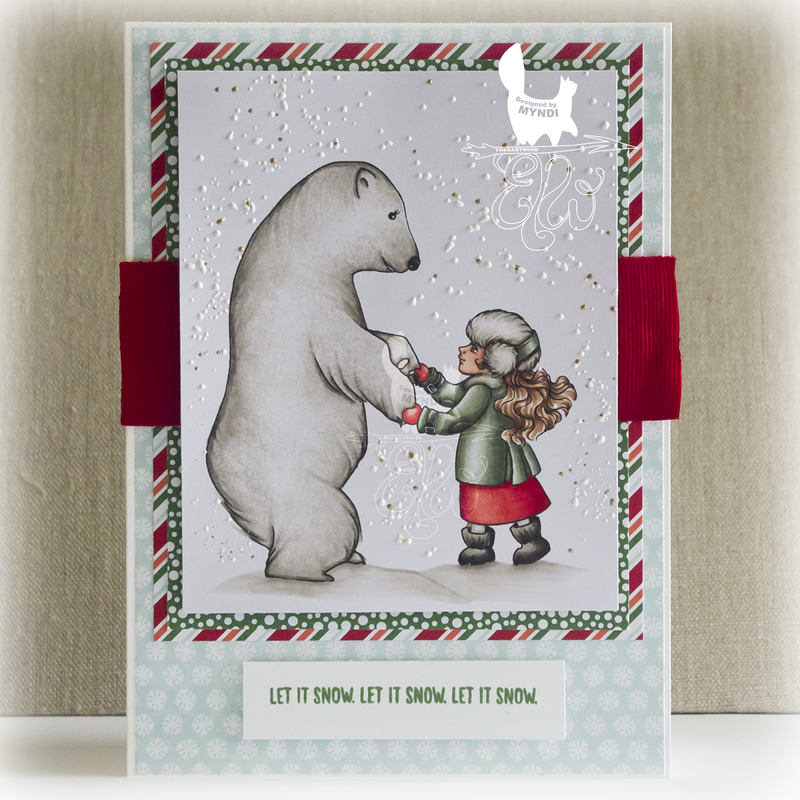 Bringing you another card from Rubbernecker Stamps today! 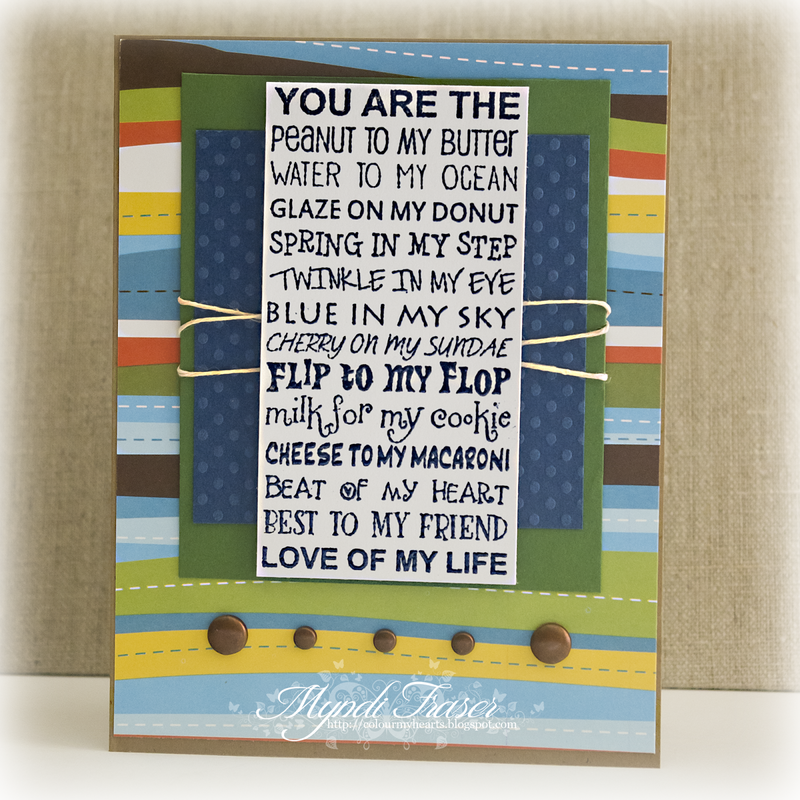 I thought of my husband when I was searching through the Rubbernecker store and saw this sentiment stamp called "Peanut Butter". I heat embossed the sentiment using Versamark ink and Stampendous Lapis embossing powder. The paper is a little Bazzill cardstock and some paper scraps from my stash. It's a fairly simple card. I used a sketch from Cristena, our DT leader. She's going to be releasing a sketch idea book in the fall, and this is one of sketches out of it. 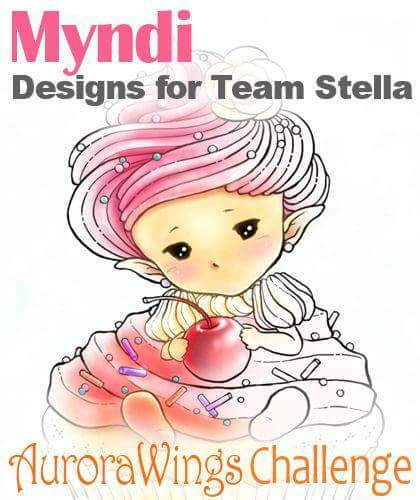 It's the 21st and time for another challenge in The East Wind's Facebook group. The theme this month is "R U Kidding Me?" You need to make a card with a TEW image that is child themed or for a child. 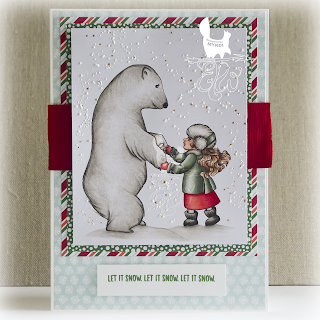 I used "Dancing with Polar Bear" for my DT inspiration, which was the freebie image from January. I managed to get a jumpstart on my Christmas card making with this one, and let's hope I keep going. Last year I totally failed in that department. I coloured the image with Copics, and used some Shabby White Frantage to create a snow effect around them. All of my DP is from Stampin' Up. It's from last season and it's not available anymore, but I will have some new Christmas cards to post in the near future using this season's Christmas paper. It's so pretty, I hate to cut it! 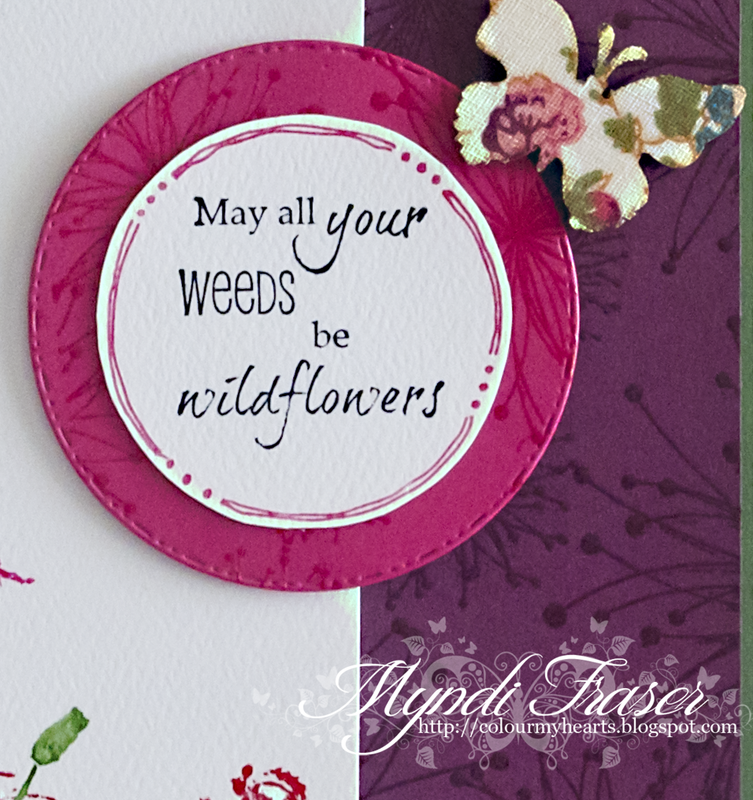 My sentiment is also from Stampin' Up, as is the ink I used (Garden Green). In addition to our challenge on Facebook, there are also twice monthly challenges on the BLOG. The newsletter you should be signed up for has a freebie for you on the 1st of every month (like the awesome image I used), so go to the blog and look for the bright pink box to sign up for that if you aren't already. And why aren't you??? Who doesn't want free images?! 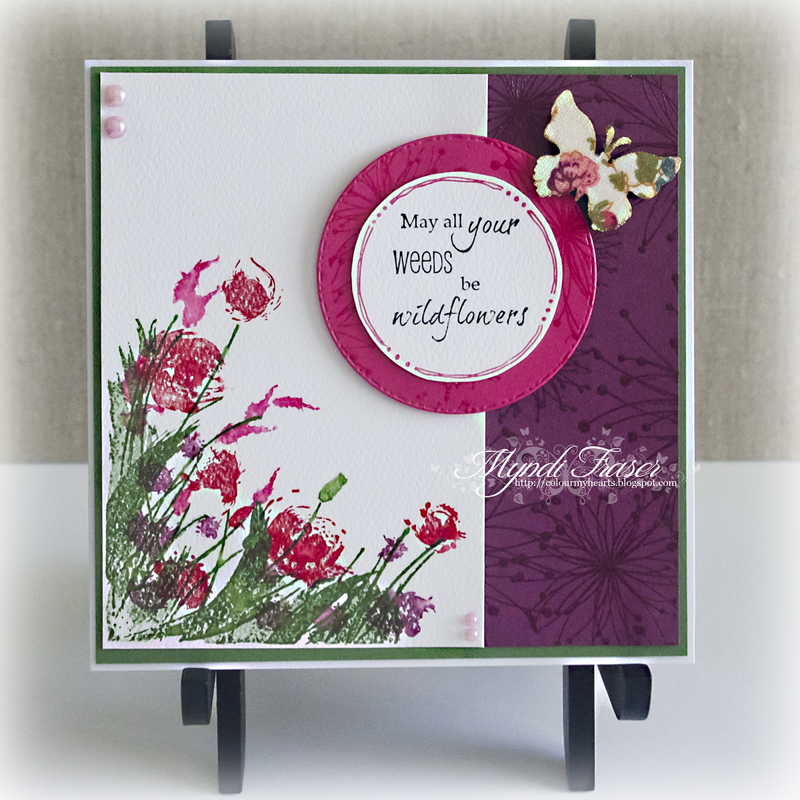 It's Rubbernecker Stamps Team 1 release day today, and here is my make featuring another watercolour stamp set called Wildflowers in the Wind. 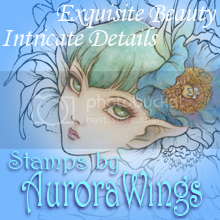 I have also incorporated two other stamp sets that I've used previously: Freehand Border Phrase set 900 and Star Flower. 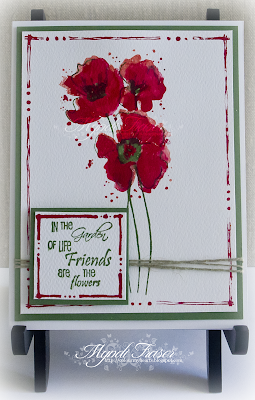 I used Stampin' Up paper and ink so the colours would all tie in together. I used the SU Brights paper and ink. 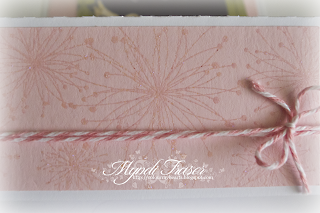 You can see I used the Star Flower stamp as a background on the Rich Razzleberry and the Melon Mambo paper, which I clear embossed for some dimension. I cut out the freehand circle by hand, but used a By Diezyne stitched circle die for the mat under it. The fabric coloured butterfly is from Live & Love Crafts. Please check out our other DT creations at the Rubbernecker blog HERE. They are so fantastic and such an inspiration!! Make sure you check out the ongoing Rubbernecker challenge on the BLOG for your chance to win all the stamps used on the card you comment on. I used 3 sets for this card, which I think are valued at over $30 USD in total, so that's quite a prize. 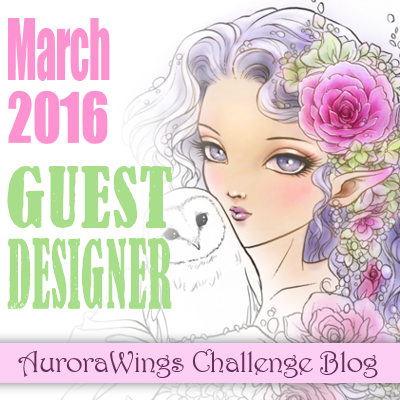 Check out the Current Challenge on the blog for all the details. I am back today with another Rubbernecker Stamps card using two stamps: Star Flower background stamp and Weeds Be Wildflowers sentiment stamp. 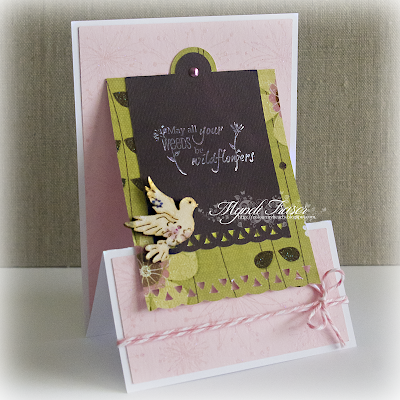 I like the idea of using backgrounds stamps to make ordinary cardstock extraordinary. Designer Paper can be so expensive sometimes and taking a plain piece of cardstock, a large background stamp, and some embossing powder is the perfect way to give it some zing. I used Stampendous Kaleidoscope embossing powder to make this card, but the shimmer would not photograph no matter what angle I snapped it from. Below you can see a close up picture of my embossed Pink Pirouette Stampin' Up paper with the Kaleidoscope embossing powder. My other DP is from Bo Bunny. Make sure you check out the Rubbernecker blog for almost daily inspiration from our amazing Design Team. They are killing it!! Playing around with some words and stamps from Rubbernecker this week. 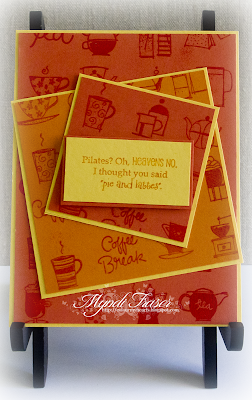 I chose the sentiment stamp "Pilates?" I thought it was funny and pretty accurately portrayed how I feel about Pilates and coffee and pie. *wink* I also used the Coffee and Tea Inchies stamp. 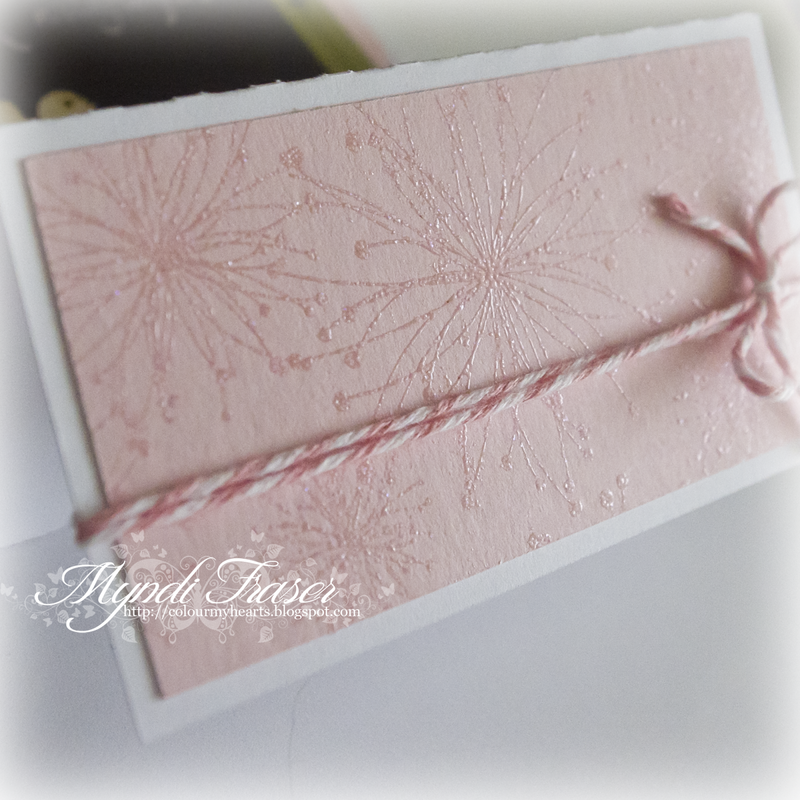 I used it as a background stamp and with some VersaStamp ink and clear embossing powder, created a patterned paper for my card. 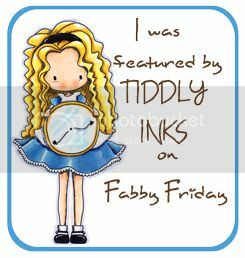 Please drop by the Rubbernecker Blog and leave some love for the other ladies on our DT creating beautiful makes with the amazing stamps from this stamp company! I'm back with another watercolour stamp from Rubbernecker Stamps called Poppy Field, using a different sentiment from the Freehand Border Phrase set that I used on my last card. I also used the Large Freehand Border stamp in the making of this card, which is a standard A2 size. 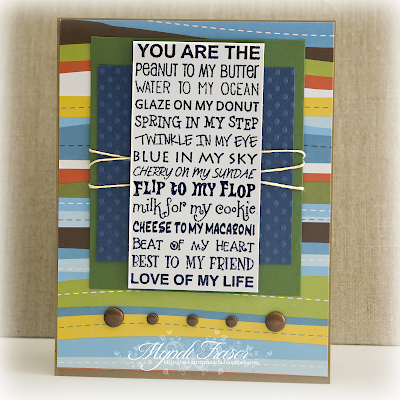 Check out the Rubbernecker Blog to see the lovely creations from all the other DT1 ladies!